I had just turned nineteen when I learned the power of a poem and a photo to change someone’s life. In March of that year, my first poem appeared in the Sunday Observer Literary Arts Supplement. I winced when I saw the accompanying photo I had submitted; I looked miserable and messy. My eyes were droopy. But I guess something in that image, coupled with my free verse, caused people to stop and pay attention. The encouragement from readers I ran into in random places grew as my poetry flourished with the years. Even now, nearly six years later, seldom a week goes by without someone referring to my poetry, recognizing me from my portrait that appeared in the paper. I owe a lot to Wayne Brown, who was editor of the Supplement, not just for helping me find my voice, but for helping me find success and focus. The appearance of my poetry in the Supplement led to a job at the paper, under the mentorship of then editor-in-chief Paget deFreitas, and marked improvement in my writing. I never got a chance to attend one of Mr. Brown’s much-storied fiction/poetry workshops at his home in upper St Andrew, but it was something we always spoke about. 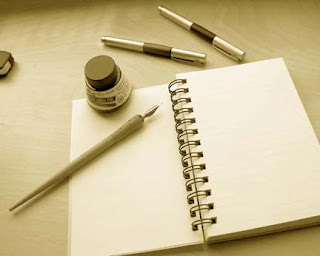 In my misery following my mother’s death on my birthday in 2005, Mr. Brown encouraged me to cope with my grief by channelling it into the only creative outlet I knew --- poetry. And according to Mr. Brown, I wrote some of my “finest pieces” around that time. He didn’t get any argument from me on that. Wayne Brown was one of the most brutally frank persons I ever met. His intellectual muscle aside, his bluntness and occasional harshness (in both speech and writing) endeared him to many people. His popular ‘In Our Time’ column in the Sunday Observer was a must-read. The last time I saw Mr. Brown, he was delivering a lecture on the life and work of Edna Manley, in May 2007, at the college on Tom Redcam Drive. He called me the next day to ensure I had adequate fodder for my impending article on the lecture in the Observer. Plus, he did not want to be misquoted. Totally understandable. That was also the last time we spoke. 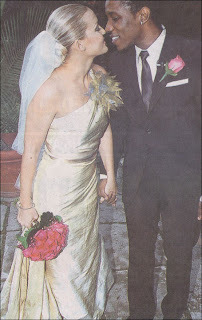 The papers said Wayne Brown, Trinidadian by birth, died at age 65 on September 15, 2009, after a battle with cancer. I was shocked when I read the news. I hadn’t the foggiest idea that he was ill, let alone dying. Playwright Trevor Rhone also died on the fifteenth (of a heart attack). I guess God urgently needed two more artistic angels. And God knows best. A few days after Mr. Brown’s death, I decided to look for the copy of the Sunday Observer in which my first poem appeared. I’d packed it up in a box that I keep in a compartment above my closet. Reading the poem (“A Paradise Like Sodom”) in 2009 made me smile, especially when I recognized the changes Mr. Brown had made. And the photograph? Well, it was a perfect portrait of a sad and lonesome UWI Mona freshman who loved to read and write. In 2004, I hated the photo for the same qualities I respect in it now. I guess it revealed more than I bargained for. It revealed the truth. Requiescat in pace, Mr. Brown. Thanks for the memories. Thanks for changing my life. Omar ‘Tarrus’ Riley is more than an award-winning reggae singer with a golden voice. Ever since he debuted the repeat-worthy smash singles “She’s Royal” and “Lion Paw” a couple years back, this second generation Rastafarian artiste has been on our radar, and continues to thrill listeners with his socially relevant message music. 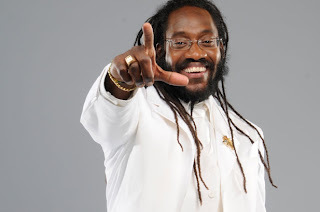 Now, he’s released his third album, Contagious, an infectious combo of rootsy reggae and up-tempo grooves, which has spawned such singles as “Start Anew” and “Forever More” featuring songbird Alaine. At the same time, he’s busy re-defining his brand, adding such projects as a new clothing line and an anti-violence campaign to his résumé. TALLAWAH recently dialed up the crooner, now 30, to discuss the new record, his ongoing journey and where he’s headed next. TALLAWAH: How does this latest album, Contagious, differ from your previous releases Parables and Challenges? TARRUS RILEY: A whole heap of things different this time around. We have more up-tempo rhythms on this album, and we step up the writing thing as well. It was the same approach though in terms of keeping the music positive and uplifting for the people. TALLAWAH: Do you feel pressured to keep up with the demands of technology in promoting your music nowadays? RILEY: We don’t make music with pressure. We make music to ease pressure and get people in a good mood, so we don’t pay attention to that too much. TALLAWAH: Do you remember the first time you realized you could make it as a successful reggae artiste? RILEY: That was probably back in the early ‘90s, when I was deejaying as a youth and working with Danny Browne at the studio and watching my father perform. TALLAWAH: How have you managed to stay so positive and socially conscious in an industry largely mired in negativity and controversy? RILEY: We are into the music, not the industry hype. We stay focused on what we have to do and stay surrounded by family and good friends. We love the music and we use that as motivation. I am not perfect and I am not a priest, but I always try to do my best in anything I set out to do. TALLAWAH: So what’s your message for Jamaican young people? RILEY: Don’t try to grow up too fast. Try to take advantage of your youth and listen to what the elders have to say. 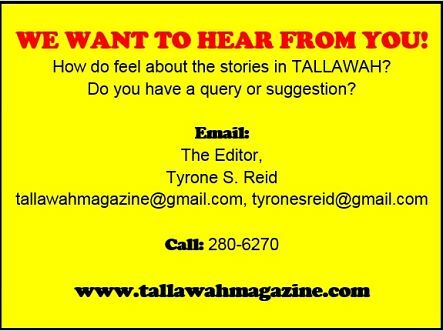 TALLAWAH: What’s up next for you? Tarrus Riley: Well, I just come off a six-week overseas tour, so right now we are working on some new songs into next year. We have a bag o’ things working on. There’s a clothing line that we are also working on, doing some ‘She’s Royal’ and ‘Contagious’ t-shirts among other things. Plus, there is also the ‘Start Anew’ Anti-Violence Campaign that we plan to continue to promote in the new year. Steeped in writer and director Tyler Perry’s signature blend of family, struggle, hope and redemption, I Can Do Bad All By Myself is a warm-hearted and emotionally resonant comedy-drama that manages to entertain and inspire despite its shortcomings. Taraji P. Henson (The Curious Case of Benjamin Button) is in fine form as April, a booze-loving night club singer who must care for her sister’s troubled kids following the sudden death of their grandmother. Help comes in the form of a Mexican immigrant named Sandino (Adam Rodriguez) who April agrees to take in as a tenant. But when April’s selfishness threatens to wreck everything, things take a turn for the worse. What’s more, her boyfriend, a married man named Randy (Brian White) is trouble. Perry’s no-nonsense Madea accounts for most of the movie’s amusing moments (including her ‘Biblical butchery’ in one pivotal and side-splitting scene). Rounding out the competent cast of supporting players are musical powerhouses Mary J. Blige (as bartender Tanya), Gladys Knight (as kind-hearted Miss Wilma) and Marvin Winans (as Pastor Brian). As with most Tyler Perry productions, the narrative occasionally gets bogged down by an over-zealous objective to provide inspirational food for the soul. Still, Perry’s unapologetic examination of how spirituality and a commitment to doing the right thing can empower and transform is admirable and continues to pack cinema seats. In short, I Can Do Bad All By Myself mixes message, hilarity and rousing music quite effectively into a satisfactory whole, constructed around the power of love to uplift and change and the premise that we all have redeeming qualities. 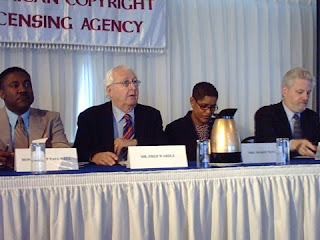 The Jamaican Copyright Licensing Agency (JAMCOPY) celebrates its tenth anniversary this year. In observance of the milestone, the body is kicking off a series of activities this week, commencing with a service at the Bethel Baptist Church in Half Way Tree, St Andrew on Sunday, September 27. On Monday, an exhibition, “JAMCOPY: 10 years of fostering respect and facilitating access,” will be launched at the Kingston and St Andrew Parish Library at 4:00 p.m. This will be followed by the staging of a distinguished lecture on the topic: “Copyright and its contribution to the economic and cultural development of a nation” on Tuesday at the Western Jamaica Campus of the University of the West Indies, Mona, starting at 6:00 p.m. The presenter will be Dianne Daley, Intellectual Property Partner at the law firm, Foga Daley. JAMCOPY is the national organisation that manages the reprographic reproduction rights of publishers and creators including writers, poets, journalists, playwright, photographers, illustrators and visual artists. Reprographic reproduction includes photocopying, facsimile, xerography, copying onto microfilm and duplicating. Set up in 1998, JAMCOPY represents the works or repertoire of creators and publishers from many countries, through bilateral agreements with other national reproduction rights organisations (RROs) across the world. JAMCOPY is a member of the International Federation of Reproduction Rights Organisations (IFRRO), which has member organisations in some 34 countries. He might be tired, but he's not slowing down. 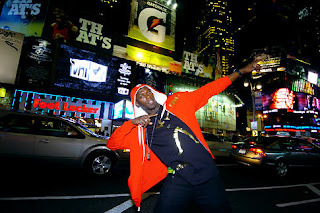 Olympic sprint champion and double world record holder, Usain Bolt, the fastest man on Earth, continued his rounds, stopping by BET's 106 & Park music show in New York City on Thursday to joke and chat with hosts Terrence and Rocsi. 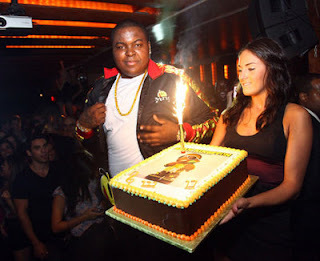 While there, the track superstar, 23, fielded questions about his record-smashing exploits in Berlin at the 2009 World Championships, the reaction to his huge success in athletics, his work with tourism officials, and of course, he demonstrated the latest dance ("Nuh Behaviour") causing a frenzy in the Jamaican dancehall. 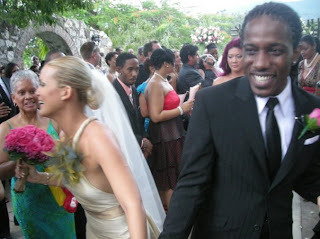 He was later joined by Jamaican-born athlete Sanya Richards, who showed she can "boogie" too. Bolt will be honoured by the Jamaican government on National Heroes' Day with the Order of Jamaica (OJ), the country's fourth highest honour. A national highway will also be named after him, among several other honours. A grand celebratory super-party is scheduled for sometime in December, to be attended by guests, including champion swimmer Michael Phelps. REAL LOVE: There were sparks on the set of Wayne Marshall's 2009 music video for "Good Love"
THE SCOOP: Owen gives an Oscar-worthy performance as a father who must cope with profound loss and put his family back together in this moving film adaptation of Simon Carr's 2001 memoir. Says film critic Claudia Puig of USA Today, "Clive Owen gives a stand-out, heartfelt performance as Joe, a bereft husband and overwhelmed father. Owen conveys deep reserves of emotion as well as an inner strength as a sportswriter struggling to be a good father." Dave Karger of Entertainment Weekly weighs in, noting that "[Owen has] been recognized in the supporting category before (for Closer) and shows a different side of himself as a laissez-faire father. But will he be overshadowed by showier competition?" 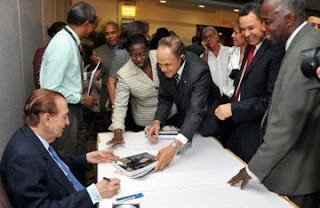 Last Wednesday evening, former Jamaican prime minister Edward Seaga unveiled his two new books, which address aspects of Jamaican culture and the country's part in the 1983 US-led invasion of Grenada. 'Revelations: Beyond Political Boundaries' and 'The Grenada Intervention: The Inside Story' were launched at a function at the Hilton Hotel in Kingston, attended by a slew of present and former parliamentarians, scholars and dignitaries. 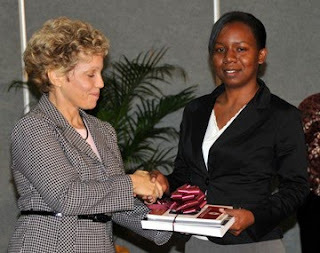 The books, published by the UWI Press, were written as part of Mr. Seaga's obligations as a distinguished fellow at the University of the West Indies, Mona Campus. Revelations: Beyond Political Boundaries is a collection of 27 addresses given by Mr. Seaga since taking up the distinguished position at the UWI in 2005, after retiring from active politics. In the book, he draws on his experiences as a politician to address such topics as culture, education, finance and the constitution. 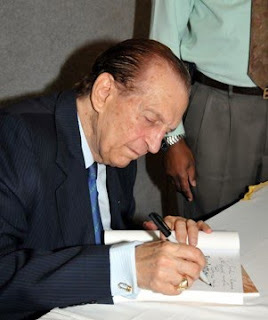 Mr. Seaga's highly anticipated autobiography will be released in two volumes in 2010. For reggae singer Etana, the work is never done. The 24-year-old songbird has been chosen to represent Jamaica at the 2009 Johannesburg Arts Alive Festival in South Africa, where she will hit the stage at the Soweto Festival on Friday, September 25 and the Eldo Jazz Day Festival on Sunday the 27th. Etana's participation in the week-long festival was organized as a cultural exchange through a cooperative agreement between the the governments of Jamaica and South Africa. In addition to the festival appearances, the singer will also perform at a few of the country's clubs and other venues. Although this marks Etana's first trip to South Africa, it is her third time travelling to Africa. 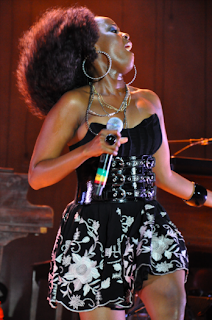 In 2007 and 2008, she performed at shows in Gambia and Ghana respectively. 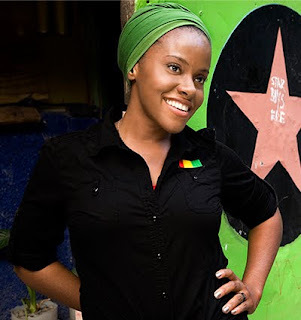 "We express sincere gratitude and appreciation to Etana for her willingness to represent Jamaica at the Arts Alive Festival," says Sydney Bartley, Jamaica's principal director of culture. 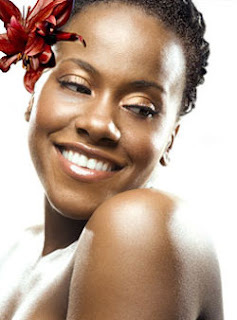 "Etana continues to stand out as one of Jamaica's outstanding artists and we wish her every blessing in her career." Recently, Etana announced a change in her management structure, whereby she is no longer a part of the Solid Agency outfit. Among her hit singles are "Roots," "Wrong Address" and "Warrior Love." 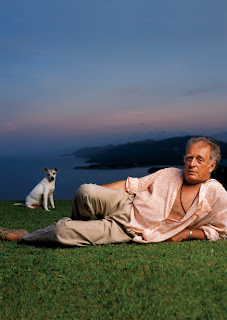 Mogul and philanthropist Chris Blackwell has been inducted into Vanity Fair's prestigious New Establishment 2009 Hall of Fame, which salutes the work of some of the world's outstanding innovators and trailblazers in their respective fields. Blackwell, a renowned hotelier and founder of Island Records, is in good company. Among the other luminaries selected by the celebrated culture and lifestyle magazine are Giorgio Armani, Jimmy Buffett, Oscar de la Renta, David Geffen, Mick Jagger, George Lucas, Nathanial Jacob Rothschild, Bill Gates, Kirk Kerkorian, Richard Meier, Ted Turner, Barbara Walters and George Soros. According to Vanity Fair, "The Island Records founder is re-deploying his music millions to build a luxury-hotel empire, much of it based around Goldeneye (Ian Fleming’s old place) in his homeland of Jamaica." 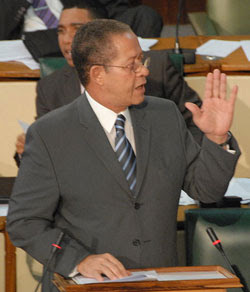 Speaking with the Jamaica Observer about the honour, Blackwell said, "I don't know how it came about is the short of it. I was shocked to be included with the other people who I have huge respect for. I suppose I work in the music business and quite a few people who are part of the Vanity Fair-type group, not necessarily the people working there, have come down to Goldeneye and really, really loved it." This year’s inductees to the Vanity Fair New Establishment Hall of Fame are "14 players who have left an indelible mark on the world of business." Jamaican-born actor and playwright David Heron (Ecstasy, Love and Marriage and New York City) is gearing up for his part in the upcoming production of Eugene O'Neill's groundbreaking play The Emperor Jones, which opens Off Broadway at the Irish Repertory Theater in New York on October 7, playing through November 29. The cast is led by John Douglas Thompson (as Jones), who won last year's Obie award for Best Actor for portraying Othello, and who has also appeared on Broadway, opposite Denzel Washington in Julius Caesar and Kevin Kline in Cyrano De Bergerac. Joining Thompson and Heron in the cast are Rick Foucheux, Michael Akil Davis, Jon Deliz, Sameerah Harris and Sinclair Mitchell. 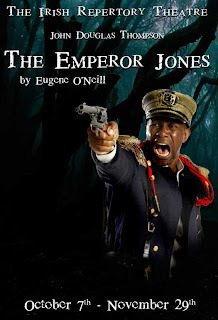 The Emperor Jones, to be directed by the Drama Desk-nominated Ciaran O'Reilly, is the story of Brutus Jones, an African-American man who sets himself up as monarch of a Caribbean island following a prison break in the Unites States. The Irish Repertory Theatre is currently the only year-round theatre company in New York City devoted to bringing Irish and Irish American works to the stage. In honour of our track-blazing athletes who participated in the recent International Association of Athletics Federations (IAAF) World Championships in Berlin, Germany, the Government of Jamaica is to host a series of events dubbed 'The Berlin Salute' from October 2 to 4. "On the 2nd of October, in honor of our fantastic athletes, the Ministry of Youth, Sports and Culture will host what we call the 'Golden Reception' at Jamaica House and this is being done under the patronage of Prime Minister, the Hon. 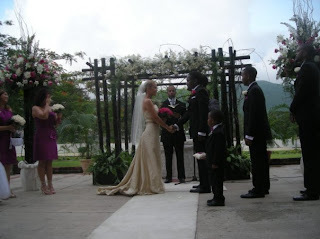 Bruce Golding and Mrs. Golding," Culture and sports minister, Olivia 'Babsy' Grange, has revealed. On Saturday, October 3, a Thanksgiving Service for the athletes will be held at the Portmore Seventh Day Adventist Church in St. Catherine. On Sunday, October 4, a western celebration fun day and party will be staged at the Trelawny Multi-Purpose Stadium. 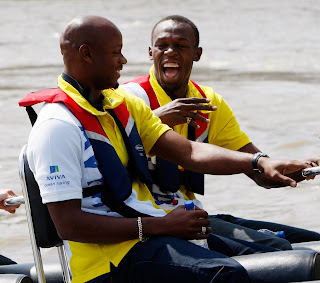 The Jamaican athletes, led by double record holder Usain Bolt, dominated the track at the championships, winning a total of 13 medals, including seven gold, four silver and two bronze, and placing second behind the United States in the overall medal tally. Multi-award-winning reggae songstress Etana has parted company with Solid Agency and has signed a new management deal with Irish and Chin. She is now being booked exclusively by Headline Entertainment. Our sources say the deal was finalized some two weeks ago. Etana (born Shauna McKenzie) had a lengthy relationship with Solid Agency, headed by Sharon Burke, but had indicated earlier this year that she intended to change her management structure. It was reported that Solid Agency’s role had been minimized as they had moved from managing the 24-year-old singer's career to just doing her bookings. Known for such radio-friendly hits such as "Warrior Love," "Wrong Address" and "Roots", Etana has secured a large and loyal following which made her debut album, The Strong One, one of the standout releases of the past two years. 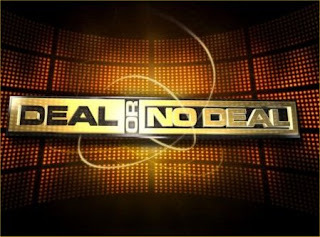 The exciting television game show Deal Or No Deal has finally arrived in Jamaica. Jamaica is now one of over 100 countries which have a version of the popular game show, which originated in the Netherlands in 2001. Episodes air on TV J on Wednesdays at 8:00pm. Hosted by Simon Crosskill, the game show allows contestants to play and deal for a top prize of $1 million in a high-energy contest of nerves, instincts and raw intuition. Each week, the game of odds and chance unfolds when a contestant is confronted with 26 women holding 26 sealed briefcases full of varying amounts of cash - ranging from $1 to $1 million. Without knowing the amount in each briefcase, the contestant picks one -his/hers to keep, if he/she chooses - until its unsealing at the end of the game. The risk element kicks in when the player must then instinctively eliminate the remaining 25 cases, which are opened and the amount of cash inside revealed. Viewers at home will also have a chance to win up to $100,000 each week through text messaging. NEWS BRIEF: PM Golding to speak on national "changes"
Prime Minister Bruce Golding says that next Tuesday when he addresses Parliament, the nation will hear about the changes that will have to be made to give the country a chance to survive and grow. “We will be proposing the direction to take the country through this crisis and beyond into a period where we can start to grow and develop again,” Golding explained. Speaking at his seventh town hall meeting, held in May Pen, Clarendon on Wednesday, September 23, Golding further noted that in order for the country to move ahead, it cannot just deal with the crisis of today and hope that tomorrow takes care of itself. Changes for survival and growth must be made. The prime minister also disclosed that he has been working with a technical team for the last two days and that he will be going to Cabinet the first Monday in October to seek a mandate to pursue the necessary changes. 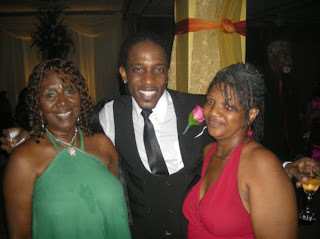 TV BUZZ: Where in JA is Dry Lan' Touris'?